It has been nearly four decades since Canadian pianist Glenn Gould recorded his last studio album, Bach: The Goldberg Variations. Since then, he has become the most famous, if controversial, interpreter of Bach’s iconic score and his 1981 recording of it became his most celebrated. It even earned him a posthumous Grammy Award in 1983, a year after his untimely death at just 50 years of age. 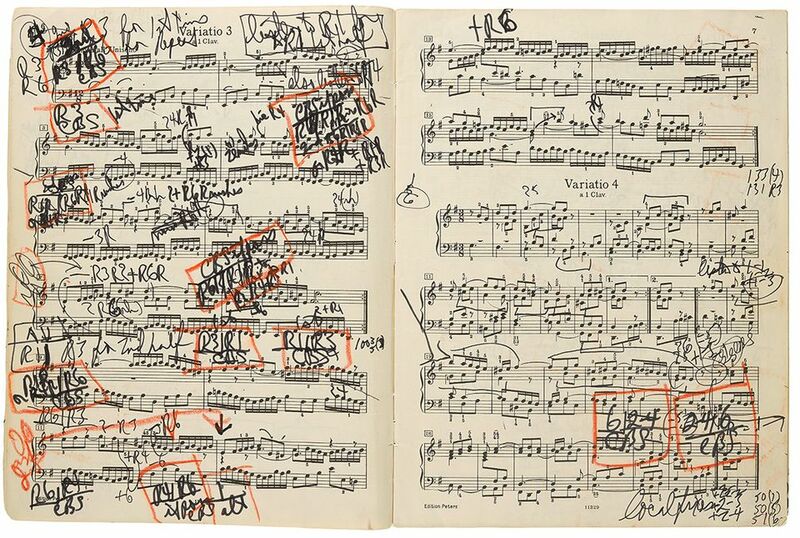 Now a rare annotated manuscript of Gould’s famed recording for the Goldberg Variations recently surfaced and it will hit the auction block for the first time at Bonhams books and manuscripts sale in New York on 5 December. Gould is widely regarded as one of the leading pianists of the 20th century and he received widespread recognition within his short lifetime. Apple entrepreneur Steve Jobs was an avid fan as was the fictional character of Hannibal Lecter who, considering himself a connoisseur of the finer things in life, listened to a Glenn Gould record in the film Silence of the Lambs. The NASA team that launched Voyager probes into space in 1977 even equipped them with recordings of several Bach scores performed by Gould to give potential extraterrestrials a sense of life on earth. Indeed, Gould was best known for his recording work and by 1964 he had altogether given up playing concerts in favor of making records. He was intimately involved in the production of his recordings, often conducting many takes and obsessively adjusting sound levels. “Up until Glenn, most recordings—at least in Classical music—were [captured] a live musical event,” says Tim Page, a music critic and Glenn Gould scholar, who knew Gould personally. Released just days before Gould died from a stroke, the 1981 Goldberg Variations represent the epitome of Gould’s career, marrying his passion for playing with his eccentric compulsions. Darren Sutherland, the book and manuscripts specialist at Bonhams, says the score’s manuscript is “a reflection of the mind and the man”. Estimated to fetch $100,000-$150,000, it is the first Gould manuscript to ever be sold at auction so the demand for such a work remains untested. Yet a rare first-edition manuscript of Bach’s Goldberg Variations (1741) for $334,840 sold at Sotheby’s in London in 2013 and the market for books and manuscripts—especially music manuscripts—has been steadily growing over the last decade.